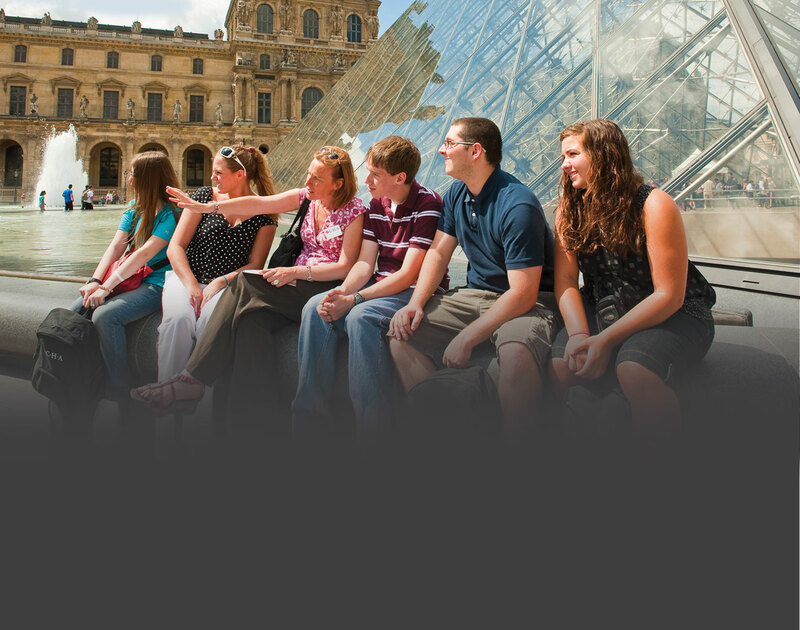 Privacy is of great concern to us at CHA Educational Tours, as it is to our customers. If you choose to enroll for one of our products or services, you will be asked for personal information for authentication. We at CHA guarantee that we will never sell or offer your personal information to any company for the purpose of solicitation sales or for any other reason. We encrypt all information you submit when you enroll on one of our tours using the Secure Sockets Layer (SSL) protocol. We subscribe to industry standard Fraud Protection services with appropriate financial institutions. We request and verify e-mail addresses to communicate with you about your tour; however, to avoid "spoofing" and identity theft, we never request personal information via e-mail. We consider the protection of all personal information we receive through our website customers as critical to our corporate mission. Please be assured that we have the security measures in place to protect against loss, misuse, and alteration of any personal information we receive from you. If you would like to update or correct any personal information in our records, please contact us by telephone and speak to one of our customer service representatives for further instructions. Because the operation of international tours requires extensive long-term planning, numerous costs are incurred long before the actual departures as many of CHA's suppliers require non-refundable deposits in advance of travel in order to secure our low contracted group rates. With this in mind, CHA has created the following Cancellation and Refund Policy. Please read it carefully prior to enrolling. If a participant who is enrolled on a CHA tour decides to cancel, the participant (and/or parent/guardian if he/she is a minor) must cancel in writing by letter, fax or e-mail. Cancellations cannot be accepted over the telephone. The amount of the cancellation refund due to an individual traveler will based on CHA's Cancellation Policy Chart and will directly correspond to the date of the cancellation notice (that is, either the postmark date on the cancellation letter or the date on which the fax or e-mail is sent). A release of claims must be signed prior to the refund being sent. Cancellation refunds will be made in the participant's name. Please note that all in cases of cancellation, CHA's $95.00 Registration Fee (along with any optional Travel Protection Plan costs purchased by the individual participant) are non-refundable. A participant who is cancelling from a CHA tour may choose to replace his/her participation with that of another traveler. When cancelling with replacement, the replacement participant's enrollment form must be submitted in the same envelope as the original traveler's notification letter of cancellation. Written notification that one enrollment is intended as a replacement for the cancelling participant must also be included with the enrollment. Replacements less than 110 days prior to departure are treated as late enrollments and late fees will apply. Refunds for cancellation with replacement will be made according to CHA's Cancellation Policy Chart. Please note that the inability of a participant to obtain the necessary travel documentation prior to departure does not constitute grounds for cancellation with a full refund.